The Varesina, another of the Lop-eared Alpine breeds, occurs in the area near Biandronno, west of the city of Varese (Lombardia). A few may still be found in the Olona valley. The breed originally was transhumant, and until the mid-1960's some Varese were in flocks that summered in the Alps. All that remain today are sedentary and are kept in small family flocks of mixed breeds. 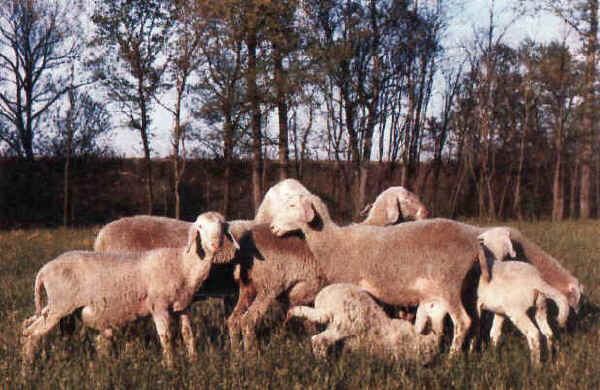 The sheep is one of the largest in Italy, and only slightly smaller than the Biella, which it closely resembles. Colour: white. The profile of the head is slightly convex. Both sexes are hornless. The tail is long and thin. Production is mainly for meat and for breeding animals. Lambs are of good conformation for butchering. Reproduction: 55–60 percent of ewes breed twice per year. The lambing rate was reported to be 130–150 percent, with 13–24 percent triplets.